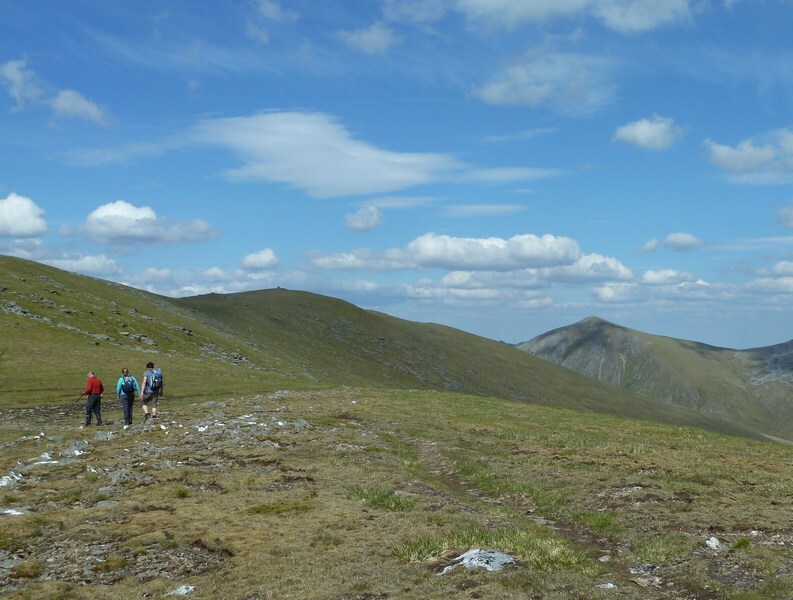 The summit ridge of An Riabhachan runs SW to NE with moderate grassy slopes on either side leading down to the upper reaches of Glen Strathfarrar and Glen Cannich. 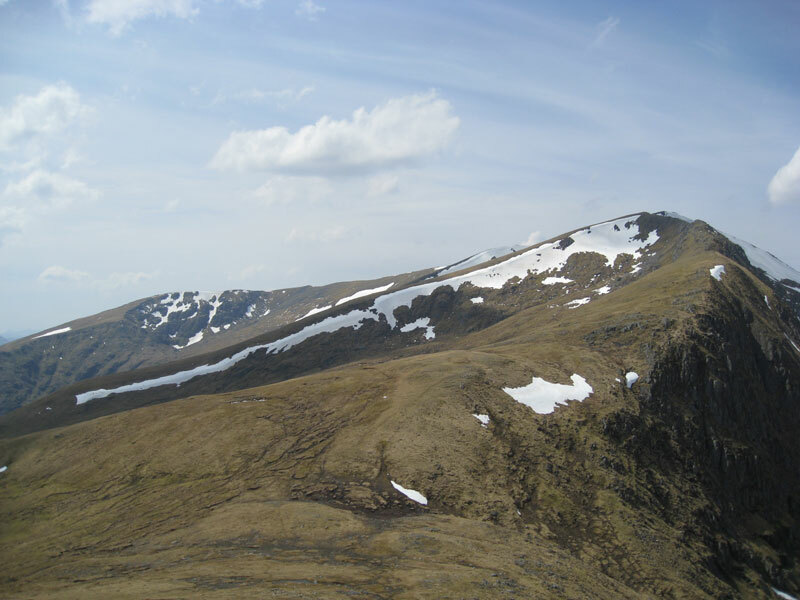 At the NW end of the summit ridge are three ridges, two of which, the N ridge leading down to Meall Garbh and the W leading to a col connecting to Sgurr na Lapaich, are the normal ascent routes. Between these ridges are crags overlooking Loch Mor and Loch Beag. At the SW end of the summit ridge, ridges lead NW and SE, both of them branching. The SW branch of the NW ridge connects to the even more remote An Socach. 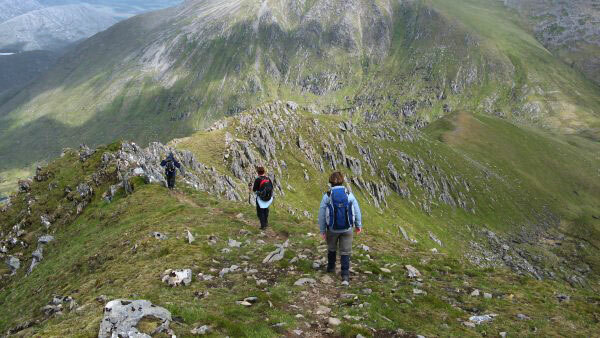 Approaching the summit of An Riabhachan on a perfect day. Sgurr na Lapaich in the background. 4/07/2011 . Looking back to An Riabhachan from north east deleted top (foreground) 5th July 2008. Descending Creagan Toll an Lochain, the east ridge of An Riabhachan. 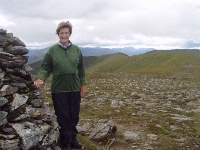 The summary information of one or more ascent routes that include An Riabhachan. 1 2180 m 74.52 km 18.5 hrs An Riabhachan and An Socach [Loch Mullardoch] Long route to remote mountains with unbridged streams/rivers to cross. John and Roy wet but still smiling having not yet been hit by lightning! James at summit cairn of An Riabhachan. 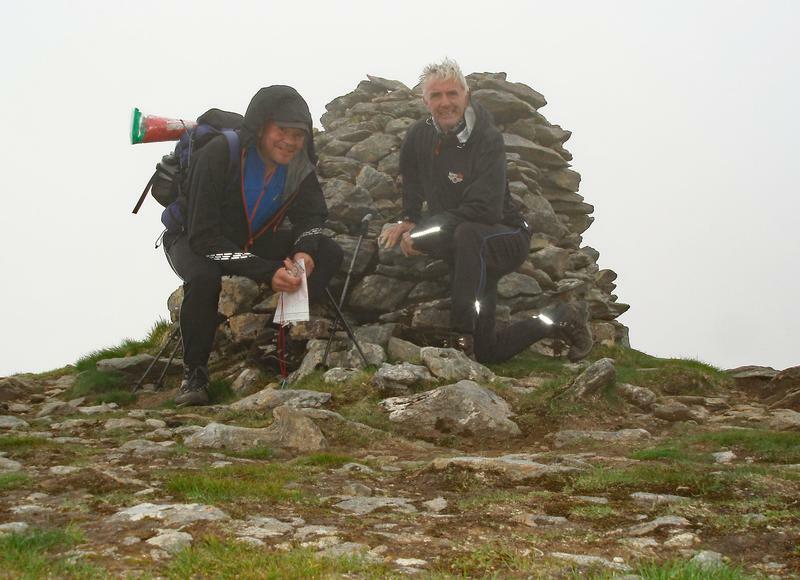 Our 255th Munro. A glorious day. 25/08/2012. 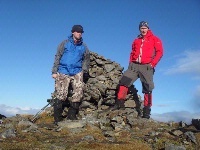 Karl and Myself on summit, 5/11/11. Post a few words about An Riabhachan or read what others have had to say. 14th June 2007. We followed the Munromagic route from Gleann Innis an Loichel except that, after the good stalker’s path, we followed the east shore of Loch Beag and went up by the stream that flows into it to join the slope above Meall Garbh. In June the Glen Strathfarrar gate is open from 9:00 am until 8:00 pm. A fine route can be had linking this hill with Sgurr na Lapaich and Carn nan Gobhar, starting at the Power Station marking the end of the road in Glen Strathfarrar. 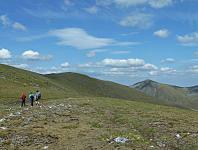 This route takes in the fine Toll an Lochain and goes up the NE ridge of An Riabhachan. It is then an easy traverse across to Sgurr na Lapaich from which you have an interesting descent to the bealach between Carn nan Gobhar. From Carn nan Gobhar you van then make a direct descent to the power station across wet, heathery ground. A great circular route which should take no longer than 7 hours. 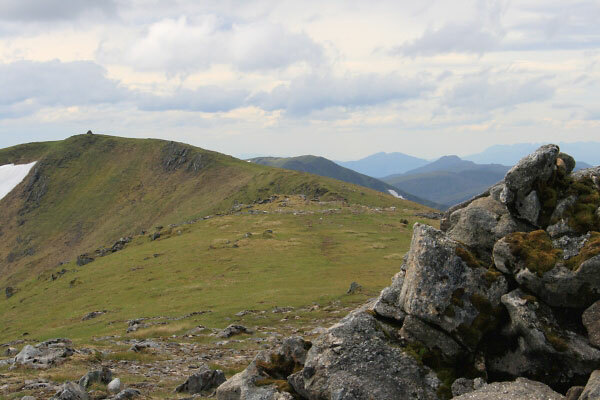 I am often asked which are my favourite Scottish hills, a tough one when every one is so wonderful. However, I never have any doubt in saying that the one place I like to be above all others is on the hills to the north of Loch Mullardoch. To me, they give a great sense of space & freedom & always the view to the north as one heads up the eastern ridge of An Ribhachan is something worth all the effort. 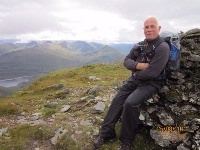 On its summit some years ago I recall meeting up with a friend, now sadly no longer with us, a totally unexpected meeting, & as I was on an extended back-packing trip he gave me all his coffee.